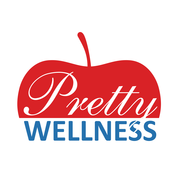 Pretty Wellness is a healthy lifestyle company founded by Caryn Sullivan after her stage IV breast cancer diagnosis. Pretty Wellness creates seminars, keynote speeches, videos and written features to inspire women toward resiliency, positivity and wellness in the workplace. For more daily inspiration, follow @PrettyWellness on Instagram or PrettyWellness.com. Check out CarynSullivan.com for motivational speaking and digital content opportunities.